Winning Authors, Touring Authors, Teaching Authors... We've got 'em all! It's the season, apparently, when Sci/Why authors come out of hibernation and flaunt their accomplishments. I did a quick whip-round of the Sci/Why bloggers and friends of Sci/Why, and discovered a flurry of activity. Here are the highlights. First of all - we have a winner! 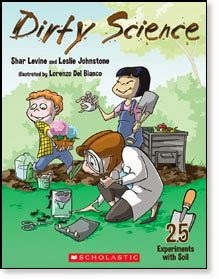 Sci/Why blogger Shar Levine and her writing partner, Leslie Johnstone, have won the Canadian Science Writers' Association's 2013 Science in Society Youth Book Award for their down-and-dirty science activity book, Dirty Science: 25 Experiments with Soil. We are all, needless to say, very proud of them. The 2014 roster of authors touring during TD Canadian Children's Book Week, May 3-10, includes a couple of Sci/Why bloggers. 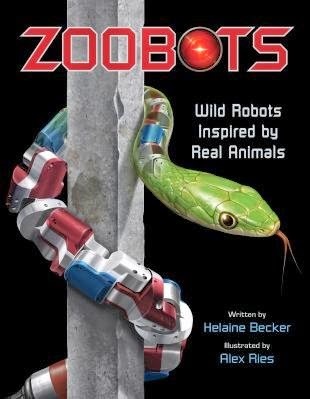 Helaine Becker will be touring in Manitoba, telling kids all about Zoobots and entertaining them with her Ode to Underwear. 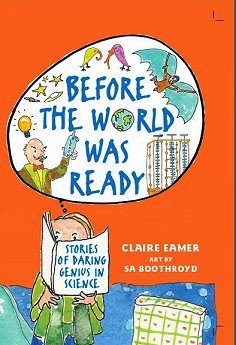 Claire Eamer will be visiting schools and libraries in Nunavut and talking about her book Before the World Was Ready: Stories of Daring Genius in Science. 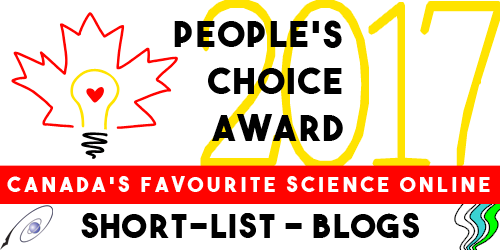 Sci/Why blogger Marie Powell recently placed runner-up in the 2014 City of Regina Writing Awards. She'll lead a Channelling Creativity workshop on Tuesday, May 7, at Regina's Central Library. You can also catch her every second Thursday and third Wednesday at the Prince of Wales branch library, leading her ongoing Write for the Heart programs. Blogger Jan Thornhill has been busy too. Her new book, Winter's Coming: A Story of Seasonal Change, is about to go to press. It's a companion volume for Is This Panama? : A Migration Story. And Jan has discovered a passion for fungi - to the point where she has launched a fungi blog called Weird and Wonderful Wild Mushrooms. Our travelling-est blogger, Margriet Ruurs, has taken time off book writing to go touring the world over the past few months. You can find her adventures at her Globetrotting Grandparents blog. Recent entries include history in Holland, Turkish Delight in Istanbul, and the amazing archaeological sites of Petra, Jordan. Paula Johanson, who's happiest in a kayak, has still managed the time to produce a couple of new books: one on Love Poetry, and another, called What is Energy? and due out in August. You can follow Paula's kayak adventures at the Kayak Yak blog. Sci/Why's first Blog Boss, L.E. Carmichael has a couple of new books out for older kids who are dealing with health issues, either their own or someone else's: Living With Scoliosis and Living With Obesity. Our Alberta blogger and astronomy enthusiast, Joan Marie Galat, will be leading a writing workshop at the Calgary Young Writers' Conference on April 26. Sci/Why friend (she came up with the name!) Pippa Wysong can be found on Saturday, May 10, at her Quarantine Tent vaccine education event at the University of Toronto campus. It's part of the national event, Science Rendezvous. Here's a short video of the 2013 Tent event. Finally, Sci/Why blogger Judy Wearing informs us that she's in the first year of a second (second!!) PhD in education, writing papers about critical thinking in science education and the relationship between fear and learning. She also says she'll have some book news to announce, but it's still a Big Hairy Secret. Keep an eye on Sci/Why, where all will be revealed... unveiled... whatever... soon! One of the great things about being a science writer is that it's part of my work to check out interesting articles on the Internet. No, I'm not just surfing randomly. I'm finding out the answers to interesting questions such as "What's it like to be a Mythbuster on the popular TV show Mythbusters? Or a female Mythbuster? And when Mythbuster Kari Byron was expecting her baby, how did she ensure there would be no bad effects from the various explosions that happen during the filming of the show?" Yes, there have been more than one explosion filmed during Mythbusters episodes... over 750 explosions and counting since the show began airing on the Discovery Channel in 2003. For all those explosions, safety is a major concern. When doing home science, leave any explosions to the Mythbuster crew! Mother Jones Magazine has published online an energetic interview with Kari Byron about her work on Mythbusters. "...it just happens to be that the best way to explore myth is the scientific method," says Byron at one point. The article goes on to say that "Byron's presence as a high-profile female role model promoting critical thinking and making science accessible is vitally important." Click on this link to read the article, see three short videos from the show, and download the podcast of a 43-minute interview with Byron. That's enough about science-related shows on television for me right now. I've got to finish taking notes about eighteenth-century naturalist Archibald Menzies so I can return to the public library this fascinating book: The Interwoven Lives of George Vancouver, Archibald Menzies, Joseph Whidbey and Peter Puget: The Vancouver Voyage of 1791-1795, by John M. Nash. I'm learning how to brew spruce beer to avoid scurvy on long sea voyages! Busy as a Beaver - and that's very busy! A busy Yukon beaver. John Meikle photo. Here's a short note and a link from Sci/Why blogger Margriet Ruurs, who has abandoned us all - temporarily - for the joys of travel. "Quick! Which animal is on the Canadian nickel? 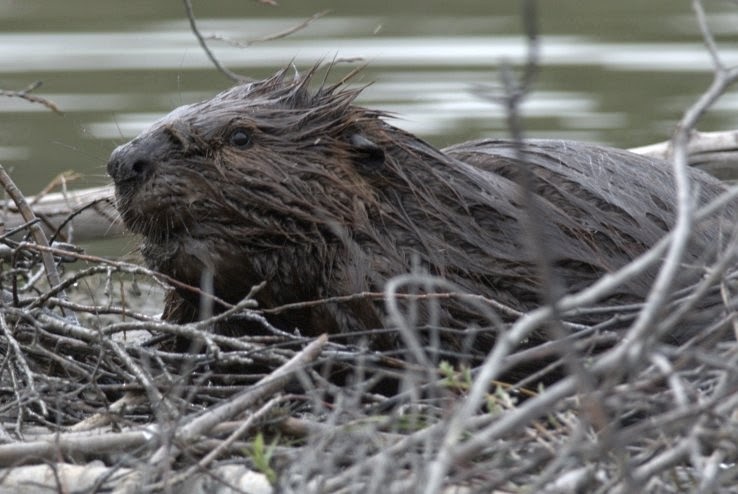 Now look at this amazing video for an intimate look at some busy beavers in Calgary." You can catch up with Margriet and her travels (if you move quickly enough!) on her Globetrotting Grandparents blog. Science writing is work that expands my mind. For me writing goes well with kayaking. Best way to clear the cobwebs out of my head after writing about Biofuels or Energy is to head out on the water in my kayak! And often while I'm on the water, there are interesting animals or stones or weather that make me resolve to write as soon as I get back to shore. 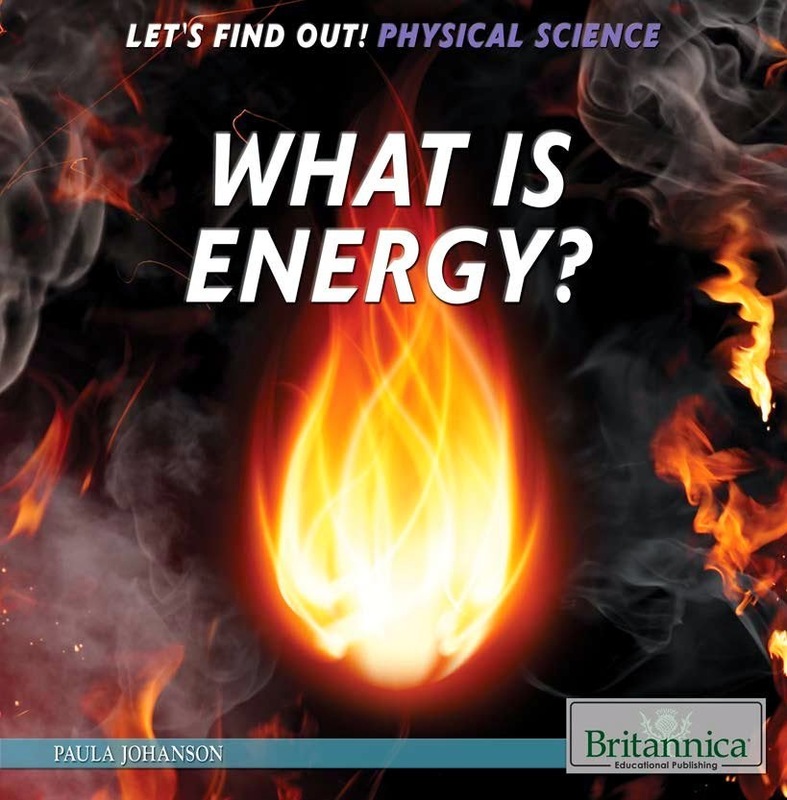 Most of my books are for Young Adult readers -- books on science or health or literature, for school libraries from educational publishers. 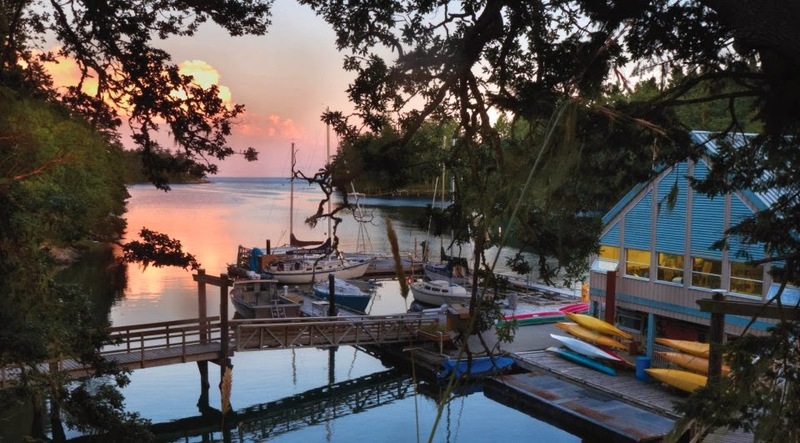 Now I've got a writing workshop to teach in June that will take me to Pedder Bay. Writing and kayaking on the same weekend -- yay! This summer, I will teach a two-day writing workshop for Metchosin International Summer School of the Arts at Pearson College of the Pacific! MISSA is hosting my class Writing Non-Fiction for Young Readers, on June 28-29 2014. This workshop immerses writers in the process of writing non-fiction, starting with generating ideas and query letters and then preparing outlines and book proposals. Young readers need non-fiction books and stories of many kinds, suited to their ages and interests. MISSA is a terrific program for arts -- consider making your summer learning my class, maybe followed by a week-long workshop by another instructor! 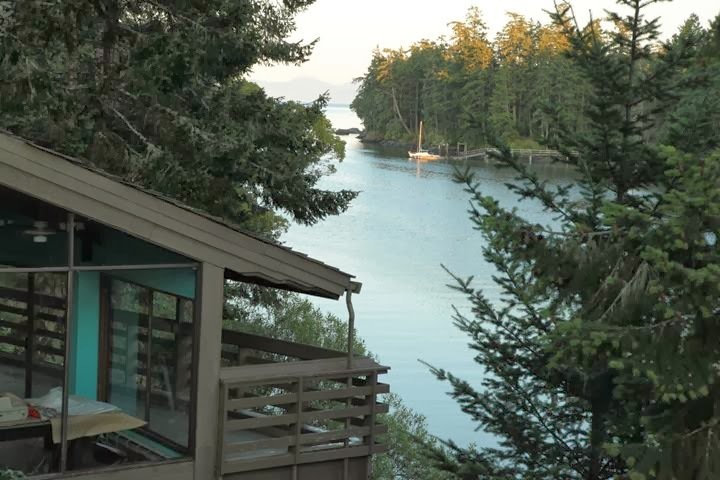 Look at these photos of the fabulous location for MISSA, which takes place at Pearson College of the Pacific right on the shore of Pedder Bay. On February 23, 1909, John McCurdy made the first powered flight in Canada, flying the Silver Dart at Alexander Graham Bell's home in Baddeck, Nova Scotia. The Silver Dart was designed by McCurdy and built in the United States, where Bell and his associates had been working on powered flight. So - while it was the first powered flight in Canada - the Silver Dart wasn't the first Canadian-built powered airplane. A full-scale replica of the Gibson Twin-plane at the BC Aviation Museum. That honour belongs to a peculiar-looking, kite-like airplane designed, built, and flown by Victoria flight enthusiast William Wallace Gibson just a year and a half after the Silver Dart's flight. 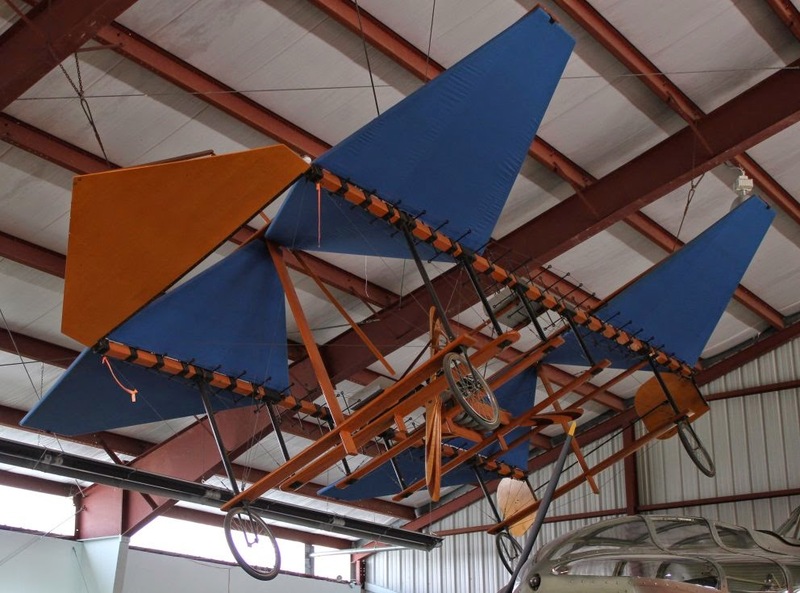 Gibson, a former farmer and businessman from the Regina area, had been quietly experimenting with kites and elastic-powered airplanes for several years. He had also designed an air-cooled engine especially for his experimental plane and had it built in Victoria. On September 8, 1910, Gibson powered up what he called the Gibson Twin-plane, rolled across a pasture near Victoria (now a school sports field), and lifted off the ground for less than eight metres. He had been nervous about whether the plane would work and afraid of being mocked, so he didn't tell anyone about the experiment. But it flew! Gibson's engine drove two propellers, one at each end. So Gibson invited witnesses and planned a second, formal flight. On September 24, 1910, he took off again. This time the plane flew 200 feet (just over 60 metres). The flight was a clear success, but it came to a bad end. A cross-wind pushed the plane towards an oak tree, and Gibson had to make a hasty landing. With no brakes and limited control, he rolled helplessly across the rough ground and straight into the tree. Gibson was thrown clear, but the plane was a wreck. That didn't stop Gibson. He designed a new plane with multiple narrow wings and called it the Gibson Multi-plane. 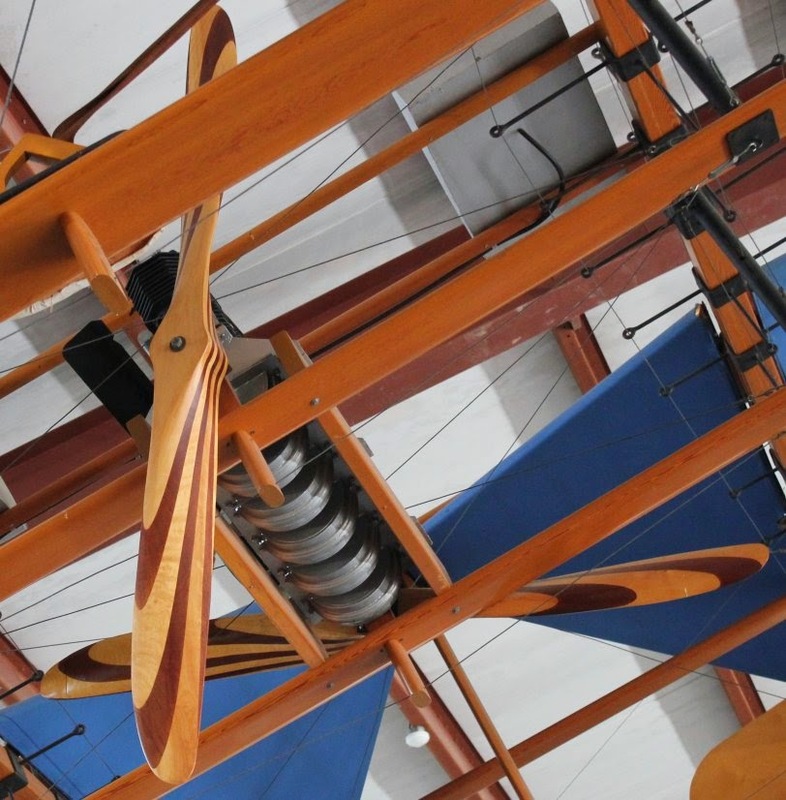 It was powered by the same engine he had designed for the Twin-plane. Then he went off in search of wide open spaces to test the new plane. He found his space in Calgary, and on August 12, 1911, he was ready. The Multi-plane was piloted by his assistant, Alex Japp. It took off safely, reached an altitude of 100 feet (over 30 metres), and cruised for over a mile (about 1.7 kilometres) - just one of several successful flights it made that day. Unfortunately, the Gibson Multi-plane came to grief on landing, just as its predecessor had. A last hard landing on rough terrain was too much for it, and the plane broke up. The pilot perched in the tiny seat below the arrow. Gibson lived until 1965, long enough to see airplanes and air travel become a major industry, but that flight in Calgary was the end of his experiments with flight. However, it wasn't the end of his planes. A full-scale replica of the Gibson Twin-plane dangles from the ceiling of the British Columbia Aviation Museum near Victoria. 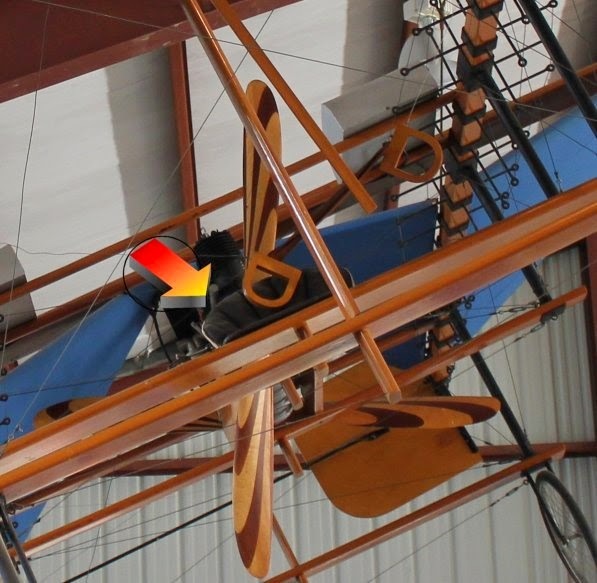 The original engine Gibson used in both planes is in the collection of the Canadian Aviation and Space Museum in Ottawa. And there's a model of the Twin-plane in the National Air Museum in Washington, D.C.
All photos by Claire Eamer.